BMW of North America and Mini USA are making personnel changes in their marketing departments. Tom Salkowsky, 40, currently manager of corporate communications for BMW, will become manager of Mini marketing on Dec. 1, replacing Trudy Hardy, 41, who becomes manager of BMW marketing communications. Hardy replaces Patrick McKenna, 41, who will head Mini’s product strategy and motor experiences department. The changes are effective Dec. 1. Salkowsky will be responsible for marketing the Mini brand in the United States. 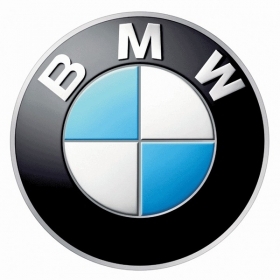 He joined BMW in 1996 as a management associate. He became manager of BMW’s M brand and motorsports marketing in 2000 and was promoted to manager of experiential marketing for BMW in 2003. He assumed his current role in 2008. In her new role, Hardy will be responsible for BMW’s national, event and direct marketing as well as Internet, consumer communications and conquest and loyalty activities. Hardy joined BMW in 2001 as communications manager for the Mini brand. She was appointed BMW’s aftersales marketing communications manager in 2003 and returned to Mini as manager of Mini marketing in 2005. McKenna joined BMW in 1997 as media communications manager. He became the manager of consumer communications in 2000. He was promoted in 2004 to manager of marketing communications and added consumer events to his responsibilities in 2007.